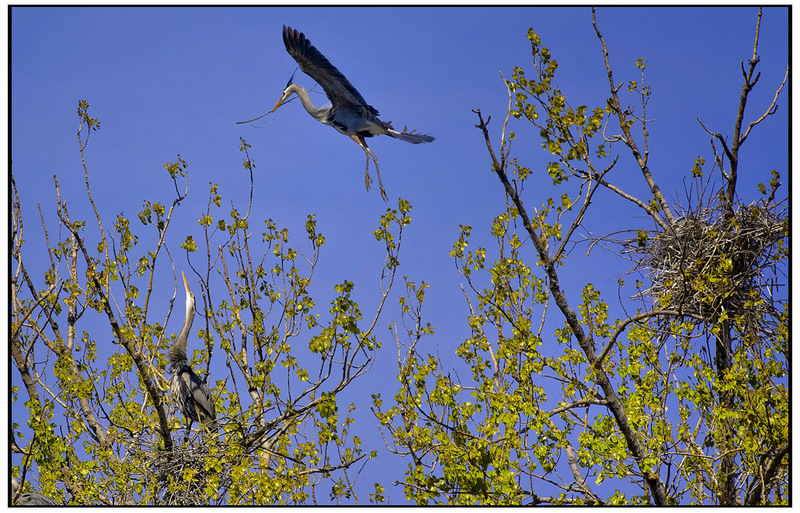 The Blue Herons are back even though naturalists feared they might not return after a tornado struck northeast Minneapolis a year ago destroying the heron colony’s nesting area. When the tornado struck it wiped out all of the 60 nests in the tops of the trees. The Herons circled the area for a week searching for their missing nests. Unable to locate the colony’s nests they left the area. 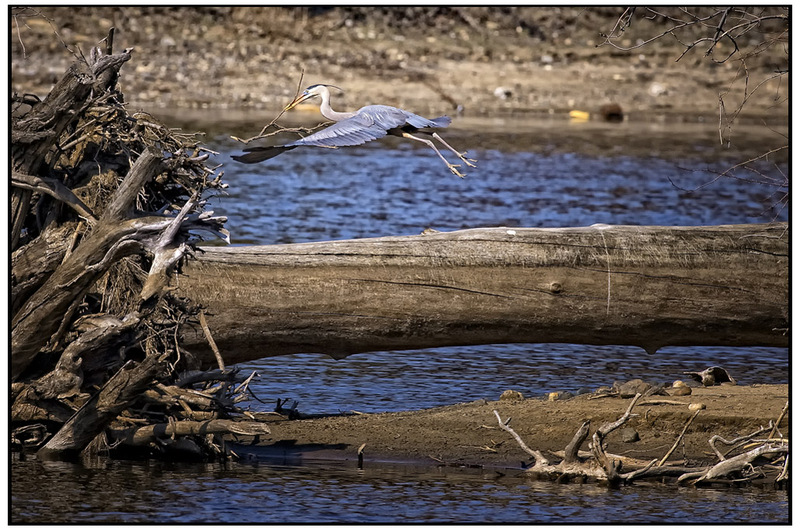 A blue heron lifts off from a log with a small branch that will be placed in a nest by its mate. 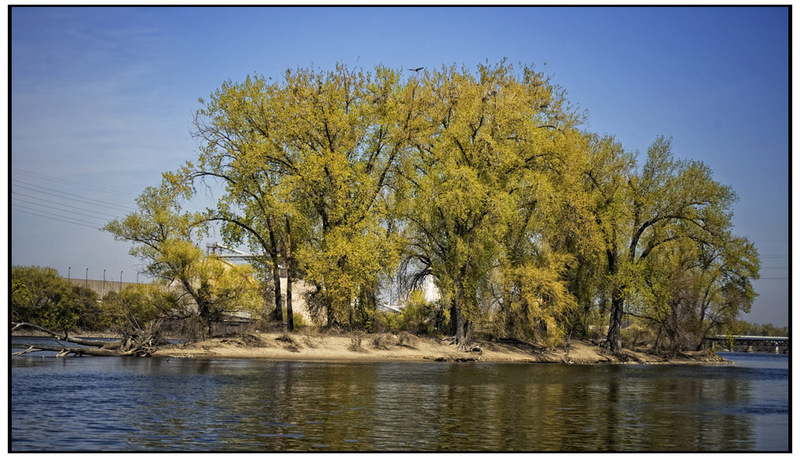 A blue heron flies over the tops of trees with a twig for one of the 12 nests located on a small island in the Mississippi River. 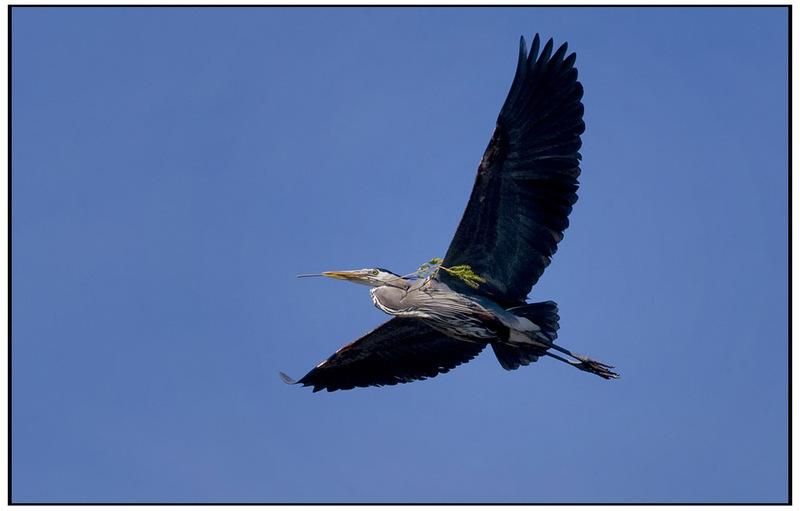 A blue heron delivers a stick to its mate to place in a nest where two to three chicks will hatch. Herons haven’t returned to the site destroyed by the tornado, but have moved to a small island in the Mississippi River about a mile downstream from North Mississippi Regional Park..